With some of the most historic and beautiful properties, Mt. Elliott Cemetery Association has been providing memorialization services in Michigan since 1841. Our long-standing relationship with Mt. 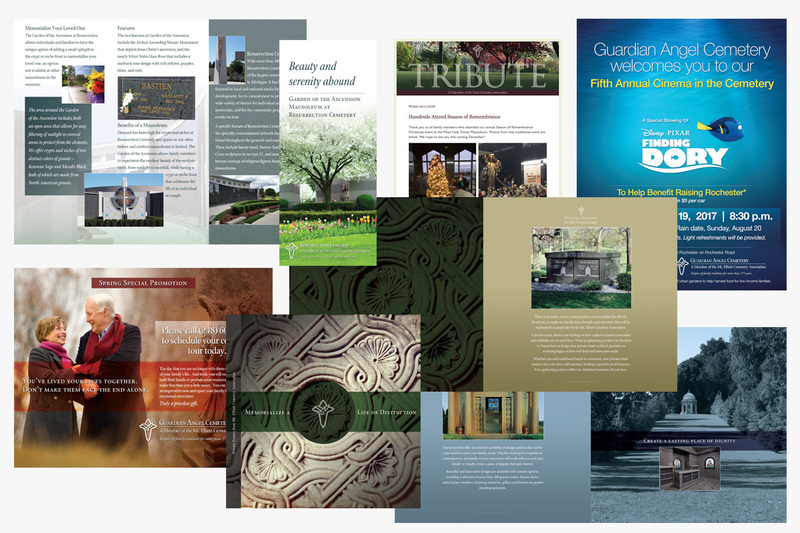 Elliott Cemetery Association has allowed us to evolve, improve and maintain its brand and marketing efforts through a wide range of digital and traditional media strategies and tactics. We are engaged on a regular basis to help support the ongoing marketing efforts of the association. 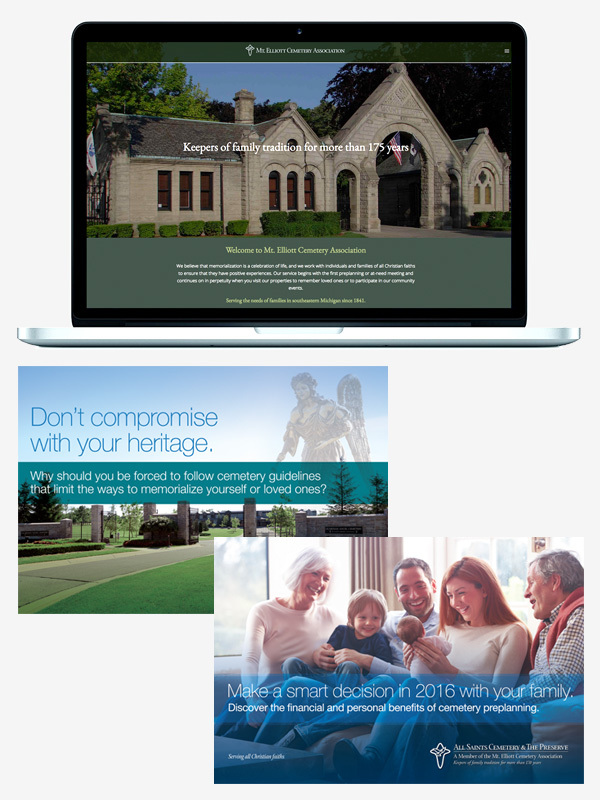 Our projects range from traditional collateral and direct mail to overseeing their website, creating landing pages, email marketing and other digital tactics. We have also provided video and animation as well as environmental photography at their properties. We’re proud of our long and successful relationship with Mt. Elliott and continue to act as a vital marketing partner in all their programs and efforts.